Hi Everyone! 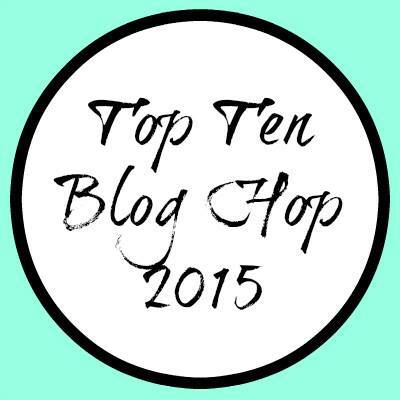 Welcome to the Top Ten Blog Hop of 2015! I was so excited that Christine asked me to join this year because looking back on the year of projects is one of my favorite things to do! Of course what is a hop without a chance at winning some goodies, am I right? Well you are in luck! If you go through the whole list of Top Tens and leave comments along the way you will be entered into a drawing for an $80 gift card to the store of your choice! You have until January 3rd at 11:59 CST to make your way through all the blogs listed below. The winner will be announced HERE on the 4th! 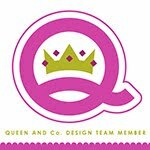 AND I am giving away a $20 gift certificate to Scrapbook.com. All you have to do to enter my giveaway is comment on this blog post. Want additional entries? Follow my blog and leave me a comment telling me you did (or already do!). AND click over to my Instagram (you can see my feed to the right...) and follow me there. Come back here and leave me a comment telling me you did. I too will choose my winner on the 3rd at midnight. Totally love what you did with your daughters layout and editing the picture. It is so beautiful! Wow! An incredible collection of such awesome projects!! I was one of those people that took your gelatos class. :) thanks for the inspiration! Great inspiration just looking for you on Instagram. I love that you got so many photos on your Favorite Moments layout for Simple Stories and yet it is so clean looking. I am glad to have discovered your blog through this hop and have followed on Bloglovin. Adorable pages and cards! I love the In Living Color one.. just so fun! You have a beautiful family! Happy New Year! These are wonderful! I love the Disney layout as well as how you altered the wood veneer piece on the first one. the pages are all bright and colorful. the very last one with the "bubbles" is really fun. the cards are great. I'm a card maker so I love seeing those. Gorgeous layouts and cards! Love those bright colors and details! Following your blog via Google Connect. Love all of these!! Gorgeous! My favorite is the Family layout. Following via Google Connect and Google+. Thanks for the chance!! Hello baby! I love your layouts-a great balance between photos and embellishments! Wow. You are extremely talented. Love the disney layout. I like the way you showcased several photos in it. Love the layout with the photo of your daughter as a baby. And the pumpkins and the Disney moments. Couldn't figure out how to subscribe to your blog via email. Awesome pages and cards! I am a cardmaker, so I love seeing your card ideas! Love your beautiful Hello Love page... fab pic! So many amazing layouts! I'm loving the last one with the droplets of color & the SS fall Pumpkin Spice layout. I love how many photos you've used on a few of the pages. Thank you for the inspiration. I loved the pumpkin patch layout. Really enjoyed all your projects, thanks for the inspiration. My favorite is the very first layout you showed - hello love. Thanks for the chance. As a Disneyland lover that's obviously my favorite layout! What beautiful colourful pages! Love your work. You are so creative and I love that you use color! Beautiful work! I am now following you with Google. That first layout is absolutely SWEET... Such a cute picture too! Love your work- thanks for sharing! I love pumpkins too. The card is fun even if it is outside the zone. love your projects, especially the first one---gorgeous! I am a follower. I loved your scrapbook.com class! I was so inspired! Love your baby page and all of them that followed!! Really love your fun projects! Your layouts are definitely my fav. So happy to hop along with you! I am having fun on this hop. I am a new blog follower. Awesome projects!! Loved seeing your faves! CUTE! I love how half the pages are art/embellishments. It shows your creativity side as well as the great photos! I am now an IG follower. I love your bright pages, especially love the rainbow look of Happy Family! I love your layouts but I think In Living Color is my favorite! The circles are amazing!! Wow. These were all so pretty, I can't even pick a favorite.